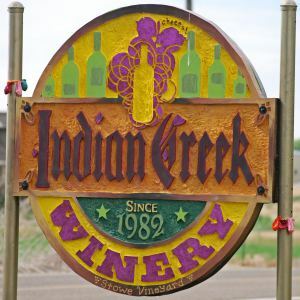 This blog is dedicated to articles and posts on the delightful Treasure Valley of Idaho restaurants and cafés that we may visit and the wines of the Snake River AVA and other wines that we like. One can not have a great meal without a great wine. And one should not drink a great wine without a great meal. We may also post articles about some of the wine clubs that we belong to. And since a photograph is worth a thousand words and brevity should be incorporated in this blog, we will use photos that we have taken extensively throughout these articles. Do enjoy this blog. Cheers! I live in Cottonwood. Where can I buy an apple brandy and a sherry dry white wine locally? I live in Cottonwood. Where can I buy an apple brandy wine and a sherry dry white wine locally? Hi Don, I think I would try a State Store and trying to stay away from grocery stores as their sherrys are salty. Try Liquor Store-State, 1101 Bryden Ave · (208) 799-5028, Idaho State Liquor Dispensary, 235 Main St · (208) 476-3128 or maybe as a last resort Safeway, Eastside Marketplace, 1320 S. Blaine St. · (208) 883-0713 Open until 12:00 AM. Good luck! !